a delicious combination of chicken, potatoes, lima beans, corn, tomatoes, onions, spices - "a little bit of sweet with a little bit of heat!" 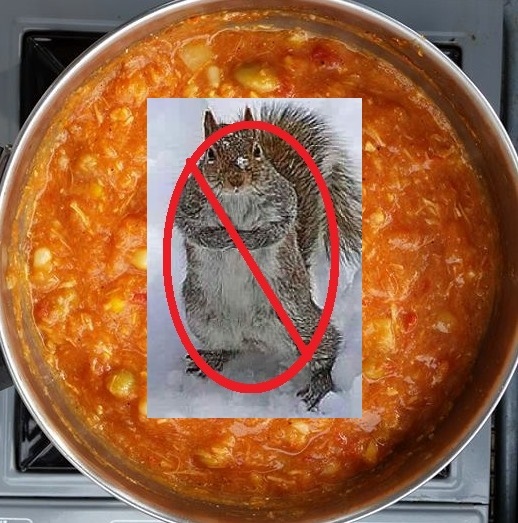 Try "Unkol" Chuck's Traditional Brunswick Stew - cooked in our 55 gallon cast iron kettle in Brunswick County, Virginia. It's the real thing, cooked in a 100 year old cast iron kettle, in the county of Brunswick, Virginia by a Brunswick County native. Give the gift of Brunswick Stew year round. It's the perfect gift for anyone you know who enjoys Brunswick Stew. It makes a great addition to your holiday meals and family gatherings as an appetizer or side dish.